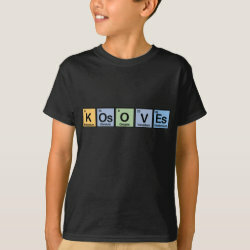 Kosoves made of Elements Women's American Apparel Fine Jersey Short Sleeve T-Shirt: Back to basics never looked better. This best-selling women's tee by American Apparel is a versatile must-have for every lady's wardrobe. Wear it to work or play, or dress it up with a blazer or sweater and wear it out to dinner. Super soft, lightweight, and perfect for screen printing. Check out other products with this design or view all apparel.